"We as Muslim Americans are here to stay," activist Linda Sarsour told the crowd. Over 200 Muslims gathered to pray for the victims of the deadly Orlando shooting and break their fasts for the month of Ramadan at Iftar In The Park. Muslim refugees studying English at the Canadian church celebrated Ramadan alongside Christians. Over 200 Muslims gathered to pray for the victims of the deadly Orlando shooting and break their fasts for the month of Ramadan at the annual event Iftar in the Park in NYC. 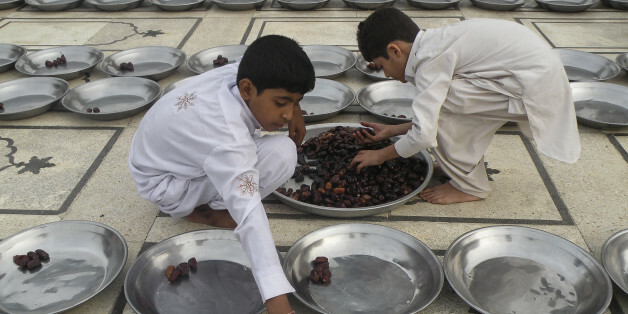 Follow along with the international Muslim community as they celebrate Ramadan. Peace is not possible in states with different religions and sects when those tribal identities are used to trigger division. But it is possible when deep bonds are built upon trust, empathy, solidarity, commercial relations and respect. Sufis generally get together for communal dinner every Saturday but during Ramadan when they fast, they get together four times a week to cook and gather for the Iftar meal that breaks the day-long fast. As both sisters are American, tonights dinner is not going to be ethnic. Through my 20s, I've fasted for Ramadan three days total. I've participated for superficial reasons: because my father asked me to, with a curious coworker, and to prove I could. I resolve that this time -- the last fast of my 20s -- will be different.